Ubuntu 14.10 Utopic Unicorn final beta was released today, this being the first and only milestone for Ubuntu Utopic (while for the Ubuntu flavors, this is Beta 2). Let's take a look at what's new. 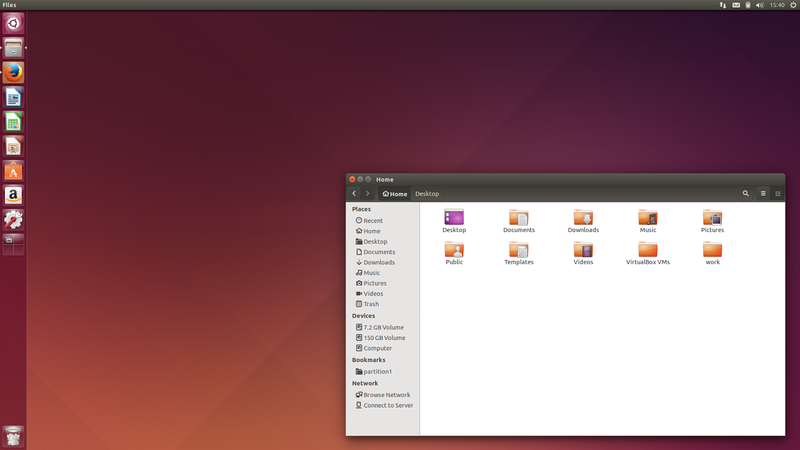 And I mean "look" figuratively, because there are almost no visual changes in this Ubuntu final beta release. For instance, this will probably be the first Ubuntu release in which Unity (now referred to as Unity 7, not to be confused with the latest Unity 8 which is used on the phone) won't get any new features - of course, unless that happens in the month that's left until the final release, but that's unlikely. However, Unity 7 did receive quite a few bug fixes and minor improvements and the most notable were related to HiDPI support: the Dash previews, lockscreen and other Unity bits were updated with proper UI scaling based on current monitor scaling. You can check out the complete Unity 7 changelog HERE. various other improvements to audio and sound, btrfs and ext4 improvements, better support for newer laptops and much more. Among the applications shipped by default with Ubuntu 14.10 Utopic Unicorn final beta are Firefox 32, Thunderbird 31.1, LibreOffice 4.3.1rc2, Nautilus 3.10.1, Rhythmbox 3.0.3, Empathy 3.8.6, Transmission 2.82, Shotwell 0.20.0, Gedit 3.10.4, Brasero 3.10.0 and Totem 3.10.1 (and others), on top of Unity 7.3.1+14.10.20140915 and GTK 3.12.2. Also, Utopic includes Mesa 10.2.6 (but 10.3 is available in the proposed repository) and Xorg server 1.16.0. Ubuntu 14.10 Utopic Unicorn final beta ships with GTK 3.12.2 and not the latest 3.14 (and, as you can see from the app list above, mostly GNOME 3.10 apps) because GNOME 3.14 was just released and Ubuntu 14.10 had its feature freeze on August 21st. As for the default GNOME applications included by default in Ubuntu (w/ Unity), they are still at version 3.10 because they need to be patched to properly support Unity (to use regular window borders and menus) and it looks like the Ubuntu developers didn't have time to update them for this Ubuntu release. There is some good news for GNOME fans though: GNOME Shell was updated to version 3.12.2 is available in the official Ubuntu 14.10 Utopic Unicorn repositories. Before downloading it, remember that Ubuntu 14.10 Utopic Unicorn is in beta, so you may encounter issues! That said, I've been using Ubuntu 14.10 for a while and, like the previous development cycle, it feels pretty stable and robust and I didn't encounter any major issues. There are a couple of important known bugs that might occur if you try to install Ubuntu 14.10 Beta 2 (or any of the Ubuntu flavors) - check out the Xubuntu 14.10 beta 2 release announcement for work-arounds. Ubuntu 14.10 (stable) will be released on October 23rd. Are you using Ubuntu 14.10? What's your experience with it so far?